A damaged spinal cord can be a serious problem and the negative effects can be lifelong. An injury in the lower part of the spine may result to paralysis of the lower extremities, while injuries on the neck or just near it can cause quadriplegia or paralysis of the four limbs. If you are suffering from this type of injury and is looking for an expert spinal cord injury lawyer Toronto, Yermus & Associates is the right legal firm to turn to. Led by Attorney Michael A. Yermus, our team of legal experts who specialize in personal injury cases can definitely help you claim for injury compensations. We are completely aware that you may feel a bit overwhelmed by the whole claim process. With this, Toronto spinal cord injury lawyer Michael A. Yermus sees to it that you will be guided all throughout the process and all your needs or concerns will be addressed accordingly. For several years, our legal services has been helping people across the Greater Toronto Area (GTA) and Ontario. A spinal cord injury can be devastating because it can negatively change the life of a once healthy person in an instant. The victim may be required to have a permanent caregiver, go through physical therapies, take several medications, spend weeks in the hospital, or spend the rest of his life in a wheelchair. Needless to say, the medical expenses associated with spinal cord injuries are also high. If a person is suffering from spinal cord injury due to the negligent actions of another person, the victim can file a personal injury claim against the party who is responsible for the damages. In order to recover the maximum amount of compensation for the injury, it is best to consult with a highly experienced spinal cord injury lawyer Toronto. Some types of spinal injuries can be treated with several therapy sessions and medications, while more severe damages may require the victim to have a lifelong professional care. Regardless of the type of damage, Attorney Michael A. Yermus and his team of legal professionals go the extra mile and coordinate with medical professionals to know the types of treatments and long-term medical care that the client will need. Doing this will also enable us to know the amount of medical expenses and allow us to recover the maximum amount of compensation that our clients deserve. 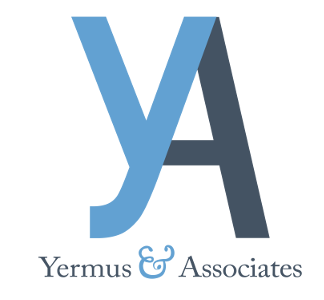 Yermus & Associates handles all types of spinal cord injury claims on a contingent fee basis. This means that if the court decision is unfavorable to us, you wouldn’t have to pay us for our representation. You can expect Michael A. Yermus, the trusted Toronto spinal cord injury lawyer, to help you obtain the maximum amount and benefits that you are eligible for, such as the Canada Pension Plan benefits. If you have any inquiries regarding our legal services or would want to book an appointment, call us now at 416-229-4878 (HURT) and let us help you win your personal injury claim.